Twenty-six days into the new year and I have already checked two things off of my bucket list: 1) make an origami paper crane and 2) solve one side of a Rubik’s Cube. I know, I dream bigger than most. The Rubik’s Cube was created by Ernő Rubik, a Hungarian. Other Hungarian inventions include holography, the coach (carriage), and the ballpoint pen. One day I will solve the whole cube. Don’t wait around for it though. 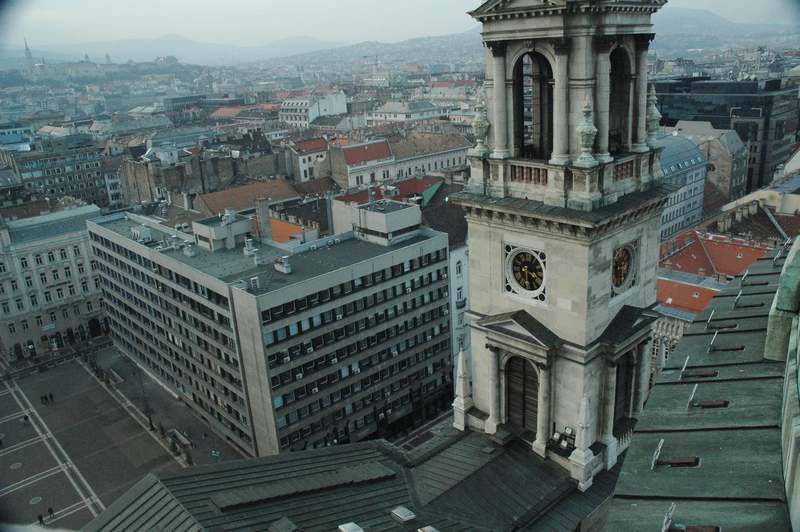 From atop St. Stephen’s Basilica (Szent István-bazilika). Since my last post I have been out and about almost every single day (or how I like to say it: creepin’ the streets). 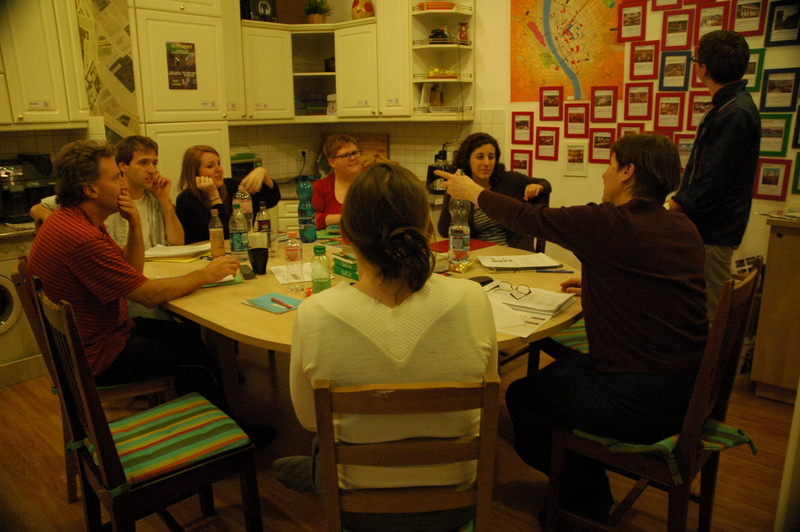 Winter orientation for new Central European Teaching Program teachers took place a little over a week ago. It marks the fourth orientation I have attended, crashed, or worked. During this time, new teachers learn about the Hungarian language and culture, teaching tips, etc. A fellow staff member, Emily, wrote a hilarious piece called “The People of CETP” about the various teachers that come to the program. Emily has been part of the program for eight years – she’s the real deal: fluent in Hungarian, married to a Hungarian, etc. 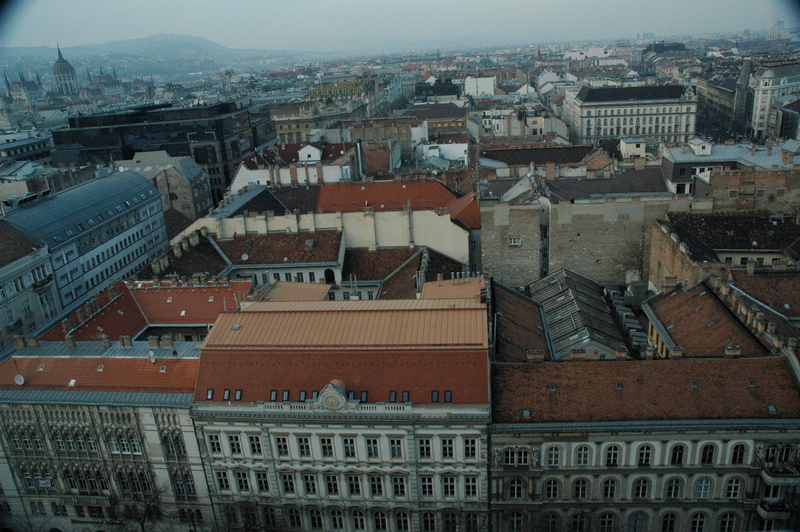 I know Budapest, she knows everything else. I think that’s a fair assessment. 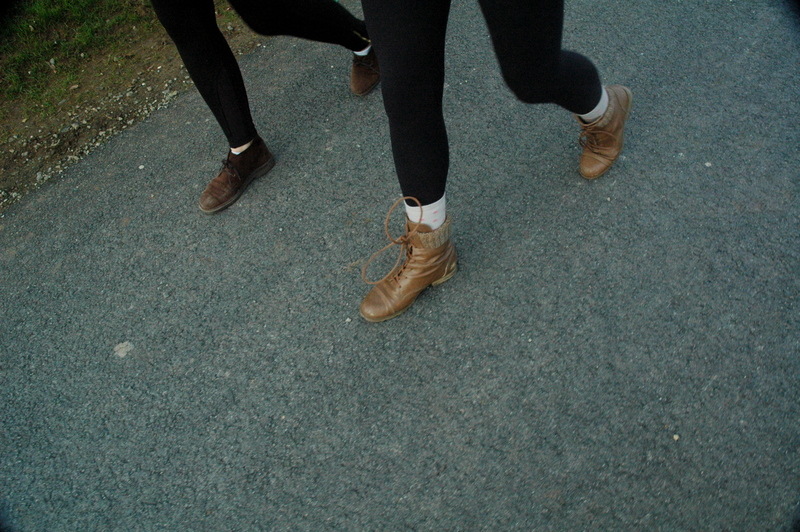 Last weekend I went to Szentendre with two friends: Kate and Caroline. 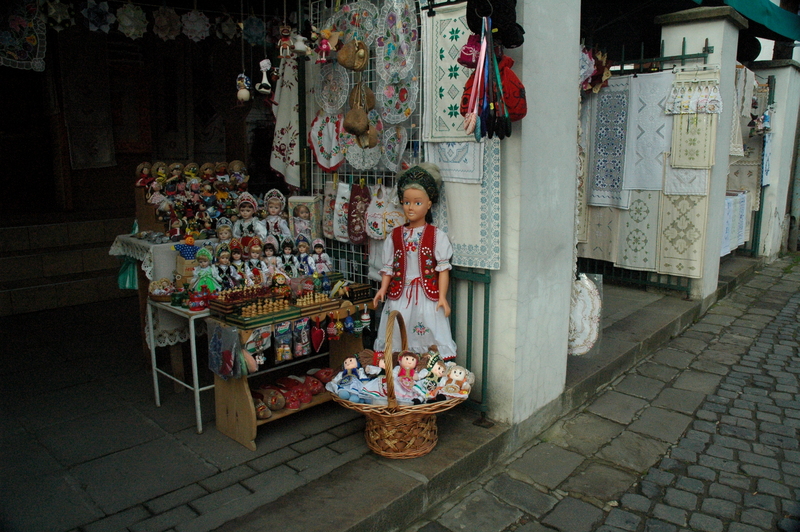 I have been to Szentendre before, but it is close and cheap to get to so I decided to go again. You can get to Szentendre by taking a bus or the suburban railway: Volánbusz from Újpest-Városkapu or HÉV (Helyiérdekű vasút) number 5. If you have a Budapest transportation pass, you can just pay for a ticket from Békásmegyer to Szentendre that costs 310Ft ($1.39). You can pay for the ticket at a ticket station or on the HÉV itself. We decided upon taking the suburban railway. 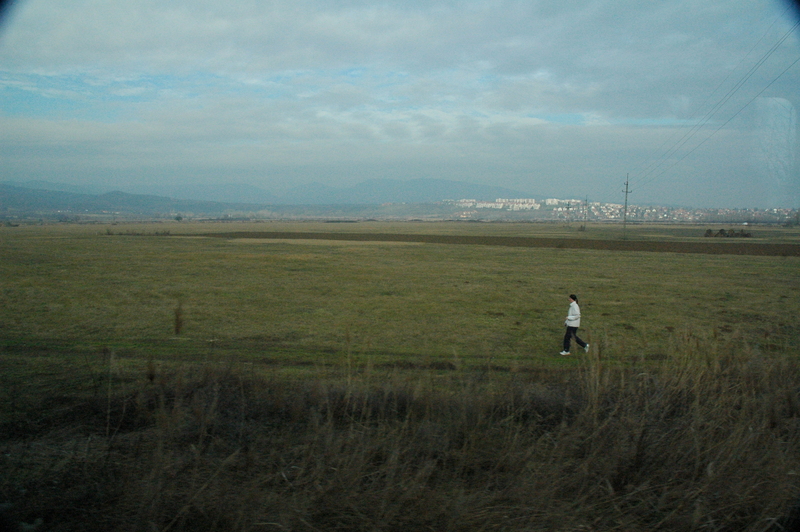 On the HÉV looking out. 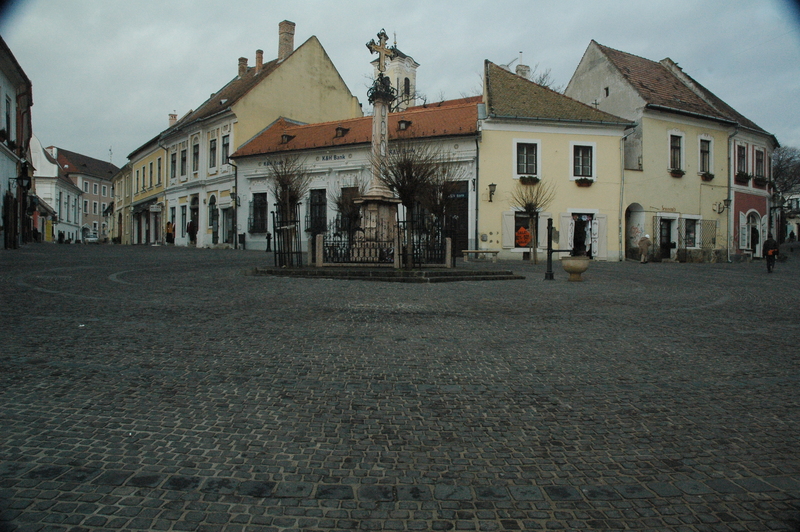 Szentendre is a town north of Budapest located on the Danube River. Due to its close proximity to + easy/cheap access from Budapest, it has become a major tourist destination for those visiting Budapest. Souvenir shops line the streets and merchants are not shy about coaxing people to have a look in their shops. One man was determined to sell a “magic box” to Kate. When I went with my sister in 2012 someone greeted us not with “Sziasztok/Szervusztok” (Hungarian) nor “Hello” (English, duh), but with “Ni hao/你好” (Mandarin Chinese). We quickly looked at each other making sure that what we thought happened really happened. Sometimes I forget how “ethnic” I am. More than that, I forget how ambiguous I can be to people. I have heard it all, but I am always half something: half-Turkish, half-Brazilian, half-Hawaiian, half-Spanish, half-Japanese, half-Indian, etc. I am, in reality, half-(Caucasian/white)/half-Filipino, but so very few people correctly guess that. Random mirror, I don’t mind if I do. 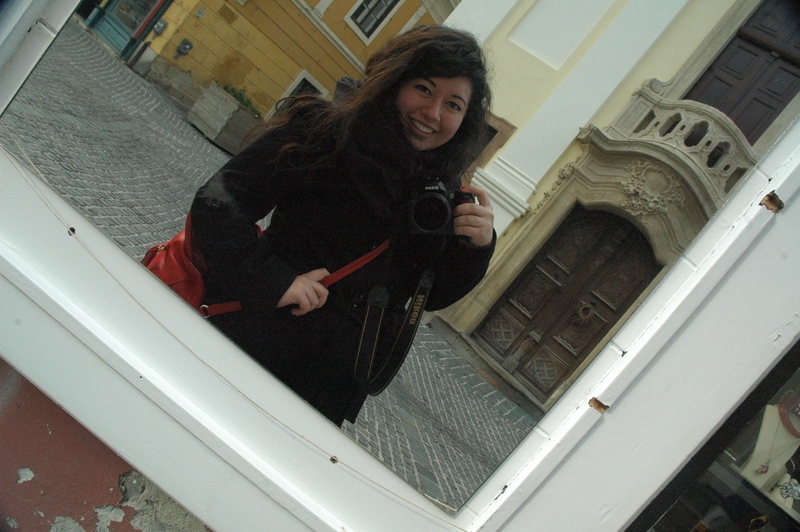 On Wednesday, I went to the Sziklakórház Múzeum (The Hospital in the Rock Museum) with my 7th graders. 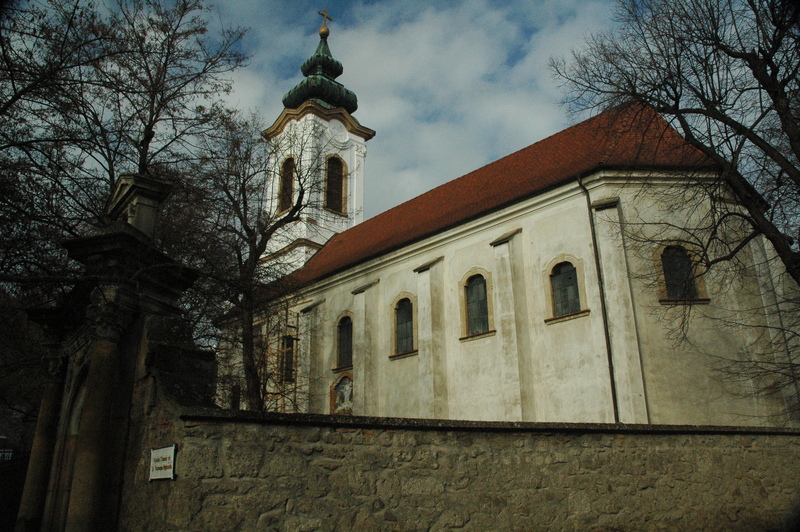 The Sziklakórház was once a secret hospital and also served as a nuclear bunker. It can be found in the caves underneath Buda Castle. 99% of everything was in Hungarian with the exception of English subtitles in the last two minutes of one video. I was responsible for one group of students during our hour+ tour of the museum, but in good fashion I was just one of them fighting to answer questions correctly to get candy. Again, everything was in Hungarian, but I knew the answers to three questions. I tried to whisper them to children with no candy, but of course my whispers died in vain. The student with the most correct answers got a gas mask. Yes, a gas mask. You are not allowed to take pictures in the museum which thoroughly bummed me out, but in hindsight, I think it was for the best. Wax figures depicting all sorts of horrible, medical emergencies were placed throughout the rooms. Going through the museum was a humbling experience for us all – so much has happened/happens in the world that none of us could/can ever truly grasp. The grandparents and great grandparents of my students were the ones directly affected by what we saw at the Sziklakórház. I will probably never be able to wrap my mind around what those around me have experienced. Yesterday I went to my friend, fellow coworker, and kind-of neighbor (our blocks of flats are next to each other) Danielle’s place. Danielle and her husband, JP (again, friend, fellow coworker, and kind-of neighbor), are fostering an adorable puppy named Ramona for a week. Ramona has already been adopted, but just needed a place to stay for a week before she goes to her “forever home.” Danielle and I walked her through the forest behind our flats: Farkas-erdő (Wolf Forest). It was so nice to love on a puppy for a day. In other news, I am going to Croatia next weekend. Four friends (Kate, Elena, Molly, and Caroline) and I are renting a car and driving through the country. None of us really know what we’re doing, so this could be one of the most interesting adventures we have ever been on. Here is a random list of things that we have encountered/will encounter: 100% rain, 20 mph winds, snow chains? + installation?, renting a car?, and wait, what? If you know a strapping Swiss Driver for hirer, send me details. I’m joking, but I also could be very serious this weekend. “Možete li mi pomoći?” is Croatian for “Can you help me?” I am going to tattoo this question on my chest and hope for the best. A Lesson From Miss Jennifer: If a puppy disappears for a little while and becomes completely quiet, safely assume that he/she is peeing on the floor somewhere. That puppy is adorable! Have fun in Croatia. She is! And thanks, I am hoping that the sky will cheer up and stop crying.